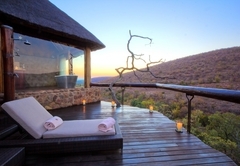 Sediba Game Lodge is a Limpopo game lodge providing a wildlife experience for tourists visiting Waterberg. 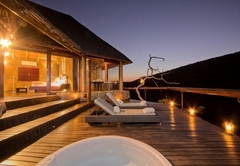 Sediba offers exclusivity, style and luxury against a backdrop of wild Africa in all her splendour. 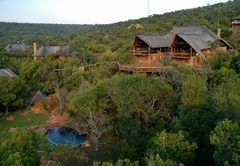 Situated in the Welgevonden Private Game Reserve (a malaria-free area), Sediba Game Lodge is only a three-hour drive from Johannesburg. 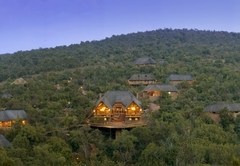 A wildlife world of adventure awaits our patrons on game drives and bush walks, from Landrovers or in private hides. 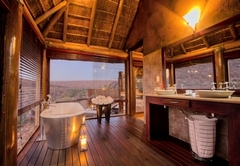 Guided by experienced, knowledgeable rangers, guests can view big game, such as elephant, lion and rhino or relish more intimate encounters with other fauna and flora. 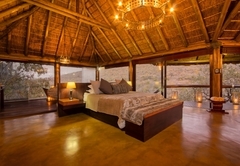 An integral part of the breathtaking Welgevonden Reserve, Sediba is a private game reserve with two all-suite game lodges - Letlapala and Letlapa. 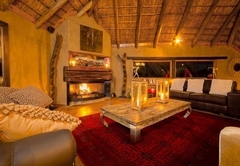 Letlapa ('rock') Lodge is situated in a valley with a perennial stream running through it. 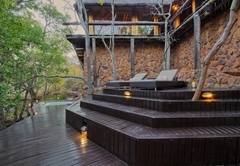 The lodge is linked by boardwalks and wheel-chair friendly paths. 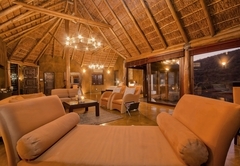 Letlapa has three suites and two exclusive suites, including one suite that has been specially prepared to accommodate our disabled guests. 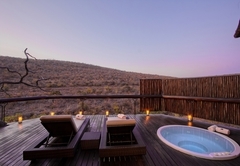 Letlapala ('the place of the sun') Lodge is aptly named - situated on one of the highest points of the reserve, it basks in both sunrise and sunset and has spectacular views over the valleys. 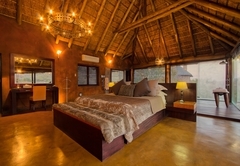 The more intimate of the two lodges, Letlapala has four suites and one exclusive suite, all designed to blend into the environment while providing every comfort. 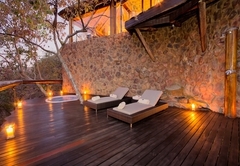 All facilities are available to guests staying at either of the Sediba lodges. 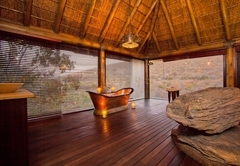 Each suite has it's own private Jacuzzi. These are kept pre-warmed for use. Mealtimes are pleasurable experiences at Sediba where our chefs create mouth-watering masterpieces for our guests enjoyment. 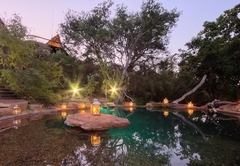 There are three meals served daily and high tea is served in the afternoon. 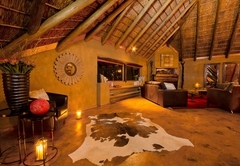 Meals can be served in various locations such as the main decks, bomas or inside. 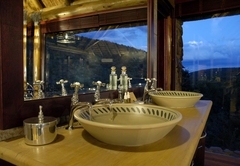 Guests are welcome to eat their meals at either of the lodges by pre-arranging this with their ranger. 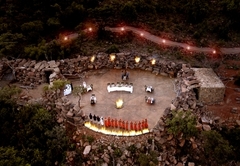 Private candle lit dinners in the suites can also be arranged. 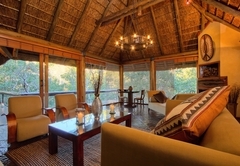 Both lodges boast fully stocked bars with a wide selection of local and international drinks. A selection of fine cigars are also available. 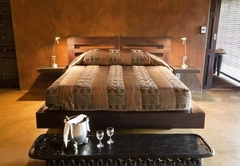 A mini-bar is provided in the suite and should one require additional bar items room service will tend to the request. All local beers, ciders, soft drinks, and house wines are complimentary. Guests are requested to freely browse through our vintage wine cellar or ask our chefs to recommend a wine to complement their meal. 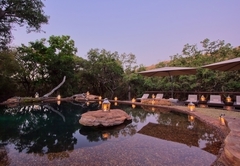 Two game drives are offered daily - early morning and afternoon or evening. 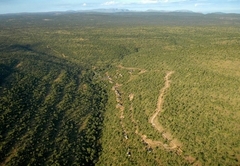 Times for game drives will be discussed between the ranger and all the guests on the vehicle. There is a tea/coffee stop with muffins and scones and breakfast is served upon returning. 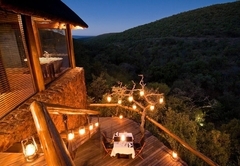 Afternoon/evening drives: depart after high tea and return before dinner. There is a sundowner stop, weather and game movement permitting. 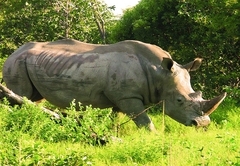 Guided walks are offered, usually in the mornings after breakfast, but can be arranged at other times. 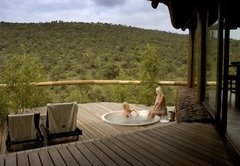 Guests will be briefed before their excursions into the wild. The rangers will give informal tuition regarding the procedures to be adhered to on the guided walks. Suggestions as per Game Drives are advised. 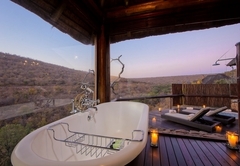 At Sediba guests will find that our experienced and knowledgeable rangers are more than willing to advise and talk about any aspect pertaining to the environment and conservation in general. 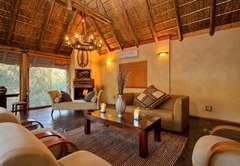 Letlapala lodge has a game-viewing hide. 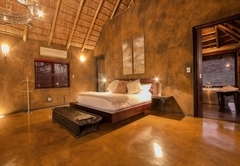 Guests will be escorted to the hide by a ranger who is there to answer any questions the guests may have about wildlife they encounter. 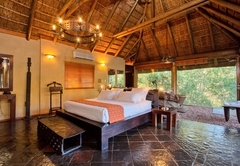 The secluded suites are designed with spacious double bedrooms and en-suite lounges with fire places. 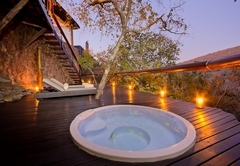 Along with modern day comforts such as air-conditioning, each suite has private viewing deck with build-in Jacuzzi's. Scheduled return transfers van Welgevonden West Gate (25 min. 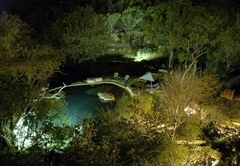 to lodge) from 12.00AM till 14.00PM. 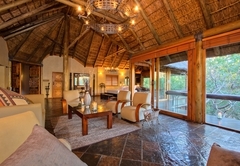 For different times for transfers there will be an extra charge of R350 per trip. 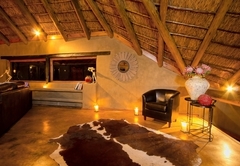 Response timeSediba Game Lodge typically responds to requests in 5-10 minutes.